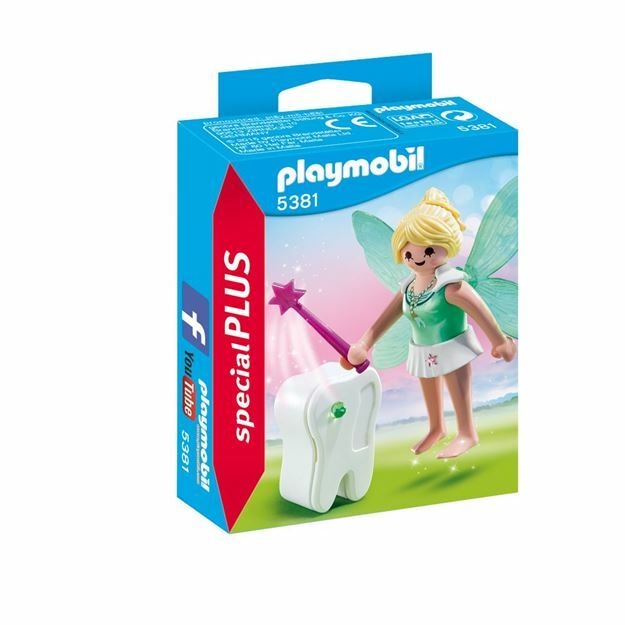 The Playmobil Tooth Fairy features a magical Fairy with wand that can be decorated with a beautiful gemstone. The set also includes a tooth shaped box with name label that can store treasures or children's milk teeth ready for the fairies visit. Part of the Special Plus Range. Age 4+ years. Distributed in New Zealand by Holdson.